Do you want to get behind the wheel of a sedan that knows a thing or two maximizing both luxury and performance? Then stop what you are doing and spend a few minutes learning about the impressive Nissan Maximas we currently have for sale or lease. Once you see this class leader for yourself, odds are that it will not be long before you end out on the streets of Youngstown OH and behind the wheel of a Maxima of your own. 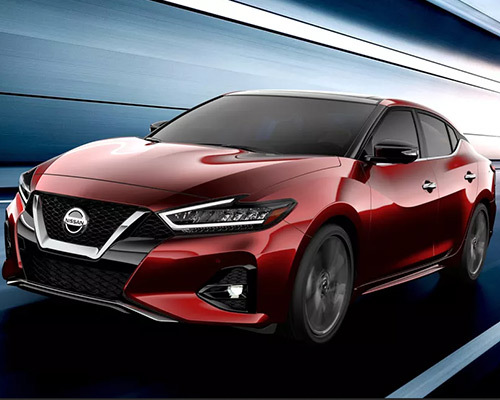 Power and performance are on full display in the latest Maxima sedans from Nissan Thanks to the Maxima's beating heart, the legendary VQ V6 engine, this concept always holds true. With access to 300 horsepower (hp) and 261 pound-feet (lb.-ft.) of torque, the VQ V6 also lays claims to an efficient 20 miles per gallon (mpg) in the city and 30 mpg on the highway. Outside of class-leading performance under the hood, the Nissan Maxima also has plenty of other sport-tuned upgrades at its disposal. First up, the Xtronic continuously variable transmission (CVT) and option to flip between Normal and Sport driving modes ensure you always maintain complete control over your time spent on the road. Going a step further, having the Maxima's independent multi-link rear suspension with monotube shocks on your side keeps the good vibes rolling as you hug every corner and hairpin turn in Youngstown. If you end up driving home in a purchased or leased Nissan Maxima from Boardman Nissan, you are definitely poised to send a strong message to other drivers out on Youngstown roads. And just what message are we referring to? That you refuse to get behind the wheel of any car that does not set the tone when it comes to elegance and grace. Of course, when you have access to an inviting profile that features sculpted curves and a sleek, domineering look, making good on this statement is just another day in the office for the Maxima. Let the Nissan Maxima S take your daily commute to the next level via its impressive array of premium features. 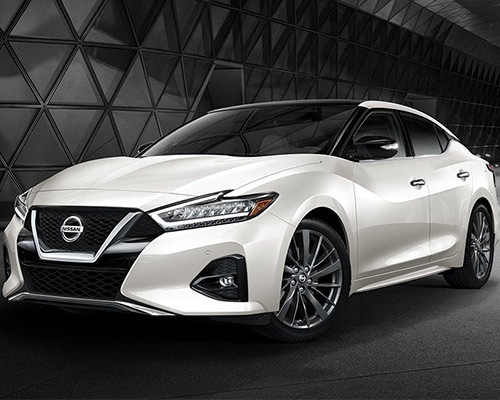 By incorporating the 11-speaker Bose Premium Audio sound system, signature LED headlights, Apple CarPlay and Android Auto, and a cavalcade of other outstanding features into this sedan, one concept always stays true: Truly enjoying your time spent behind the wheel requires tapping into the premium quality of a Maxima S from Nissan. Are you looking for a shot of adrenaline to inject directly into your next trip out on the highway? Then odds are the Nissan Maxima SR is the perfect fit for you. Built to embody style and power, the Maxima SR offers up sport-tuned suspension, gloss black aluminum-alloy wheels, leather-appointed seats, sporty paddle shifters, and a veritable mountain of other premium features. If having your cake and eating it too is how you like to live your life, then allow us to introduce you to the Nissan Maxima Platinum. Thanks to a bevy of premium upgrades, such as a memory system that retains your preferred configurations for the driver's seat, steering wheel, and outside mirrors, access to NissanConnect, and hands-free texting, the Nissan Maxima Platinum has shown time and time again that it will always set the tone for other luxury sedans on the streets of Youngstown. Taking to the streets of Youngstown requires a soundtrack that impresses. Nissan never lets this fact slip through the cracks, which is why the Maximas offered up for sale or lease here at Boardman Nissan lay claim to the optional Bose Premium Audio System. Delighting in your favorite tunes and shutting out the noise of the road is a breeze thanks to Active Noise Cancellation technology, Active Sound Enhancement, Acoustic Laminated Glass, and tons of other high-end inclusions. Does having access to Google Assistant or Amazon Alexa make your daily routine a little more manageable? Then it is time to buy or lease a Nissan Maxima from Boardman Nissan. As cornerstones of the Maxima experience, this duo of artificial intelligence heavyweights allow you to set the temperature in your cabin, lock your Maxima remotely, and even lock or unlock your doors and start the engine as you make your way to this vehicle after work or in the morning. As this sampling of available features showcases, the Nissan Maxima has everything needed to optimize and improve your daily drive. Put all of this together and what do you get? 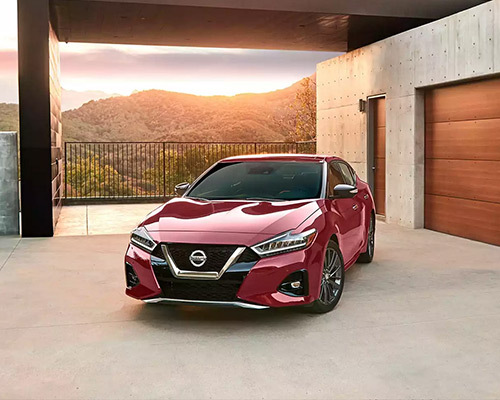 When it comes to enjoying class-leading technology, unparalleled safety features, and high-end luxury, there is no better choice than the Nissan Maxima.